First up, we have Gustavo "801 Strider" Romero. 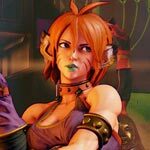 In this interview, he talks about transitioning from Street Fighter 4 to Street Fighter 5, his opinions on how good Laura actually is, hopes for Street Fighter 5: Arcade Edition and much more. MajinTenshinhan: You made quite the name for yourself during the Street Fighter 4 series, but we didn't see much of you in Street Fighter 5 last year. Is there any particular reason you were absent for a while before returning in full force for this season? 801 Strider: This was a very difficult transition for me personally. I really started to find my footing as one of the best during the later part of Street Fighter 4's life. I had just achieved a dream in qualifying for Capcom Cup, and now the game was over. All that time practicing, studying, and obsessing, gone. I had to start all over from scratch. I didn't embrace change and resisted it. I would crap on SF5 at any opportunity I had and refused to see it for what it was. My playstyle and tactics didn't work in this game, so naturally I blamed the game instead of myself. This continued for a long time until I decided to stop bitching and actually improve. This season was a result of that. MajinTenshinhan: There's been a lot of discussion back and forth regarding Laura, and opinions on her are divided, especially by region. Japan notoriously thinks of her as fairly low tier, while North America seems to consider her as at least top 5. As a Laura main, how do you think she stacks up, and around where would you place her if you were ranking characters? 801 Strider: Laura is strong. She's not top tier, but she's strong. I would place her within the top 10 characters. I have a theory. It is that most people that spend all day complaining about strong characters (Balrog, Ibuki, Rashid, Urien, Laura, etc) don't play the game or even know how. They just join a mob mentality and echo other's voices. Nowadays we live in the age of social media where everyone has a voice and wants to spread their opinion, even though their opinion means absolute dog crap. The loudest voices are usually also the least informed. Meanwhile, top players, both Japanese and American, train on how to be strong and win. I know this because I was part of the mob. But to answer your question, Japan is sleeping on her, but she is not as strong as the current top 5. 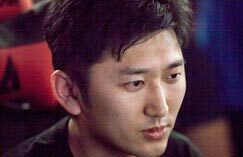 MajinTenshinhan: Street Fighter 4 and Street Fighter 5 obviously function pretty differently from eachother, and we've seen a lot of players who did well in the former fall off completely in the latter. What do you think is the most important thing for a Street Fighter 4 veteran to do in order to adapt and start excelling at Street Fighter 5? 801 Strider: Street Fighter 4 and Street Fighter 5 are vastly different games. I would say to forget everything you know about 4 and come to terms with the fact that this is a different game. If you were somewhat proficient in 4 it most likely wasn't because of some God-given gift you have, it's because you know how to improve. You know how to drop the ego and take a critical look at yourself and your gameplan, pull it apart and make correct changes. Bring that to the table and you can improve in anything. 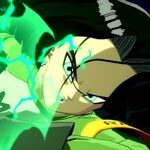 MajinTenshinhan: The pro circuits for fighting games just keep building and building, and there's a lot of money on the line at the end of the year now. How do you feel about the huge growth fighting games have seen in the last few years? 801 Strider: This is honestly the only time in the FGC where you can make a legitimate living out of competing. Traveling and competing was seen solely as a passion, now it's becoming a viable career! It's definitely different. With more money comes more regulation, which can impact the organic, raw feel of the FGC. There obviously has to be a trade-off if we want to attract the main stream audience. There has to be a balance for growth, and I'm fine with that as long as it doesn't devour the very spirit of this dysfunctional, obsessive and beloved group of people we call the FGC. MajinTenshinhan: With Street Fighter 5: Arcade Edition coming out next year, what changes are you hoping to see it bring to the game? 801 Strider: I'm honestly excited! I would love to see the damage/stun toned down a bit to reduce the overall volatility of the game. I also can't wait for the new V-Trigger/V-Skills. I don't know what they are going to give Laura to have me opt out of her current V-System. She better have a gun. 801 Strider: I don't know about my chances, all I know is that I will train hard, trust said training and give it my all. Huge thanks to Gustavo "801 Strider" Romero for participating in our interview series and we wish you the best of luck at Capcom Cup 2017. Please look forward to more interviews in the coming days.